Foster a sense of adventure in girls and women in your life with these inspiring reads! For rad women, by rad women and about rad women – let these books fuel the adventurous female spirit. 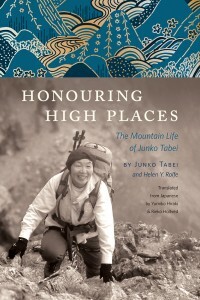 A collection of personal stories and reflections based on the memoirs of Junko Tabei, the first woman to climb Mount Everest and the Seven Summits. Read more. 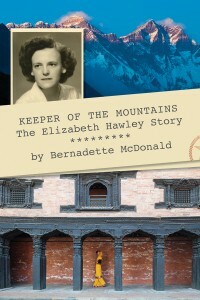 Despite the fact that Elizabeth Hawley has never climbed a mountain or visited the hallowed grounds of Everest base camp, she has become the most important record keeper and inspirational authority figure regarding the expeditions, stories, feats, scandals and disasters in the Nepal Himalaya. Read more. In the late 19th and early 20th centuries, travelling within North American borders or beyond to exotic locations was difficult at best and disastrous at worst. 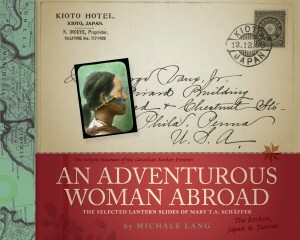 Mary Schaffer not only conquered international travel but also excelled as an explorer, surveyor and photographer in the backcountry of Canada’s Rocky Mountains and the isolated communities of Japan and Formosa (now Taiwan). Read more. Waking up in tents and backcountry huts; hiking and skiing up valleys, over passes and across glaciers; rock climbing; mountain biking; caving; paddling and horseback riding have all become integral parts of Martel’s life in the Mountain West. 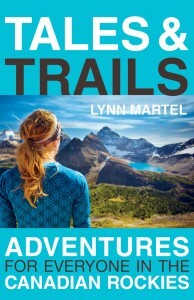 Her vast amount of experience and insight into the most popular activities available to tourists, locals and the most skilled and competent weekend warriors infuse this collection of 20 of her best adventure stories. Read more. 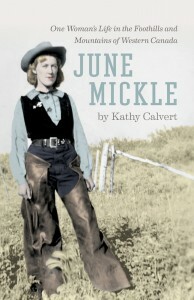 Born in 1920, June Mickle grew up among the foothills of the Rocky Mountains with her mother and her stepfather, Tip Johnson, a renowned cowboy and horse trainer. This is the inspiring memoir of an unconventional life fully lived. It is the story of people coping with family struggles, living among the splendour of a mountain landscape, and carving out an existence that held both tremendous hardships and enduring rewards. Read more. 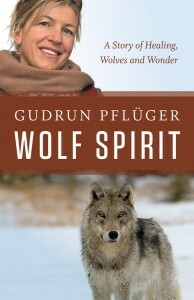 Through an intensely personal and emotional, yet rigorously scientific connection with the wolves she studies and the glorious landscape that surrounded her during a remarkable journey with brain cancer, Gudrun Pflüger tells an absorbing story of the transformative and healing power of nature, motherhood and one woman’s goal to save the wolves she admires and bring her own threatened body and mind back to health. Read more. An 1889 cross-Canada trip with her new husband, doctor and botanist Charles Schaffer, proved to be the turning point in her life: it was when she fell hopelessly in love with the Canadian mountains. 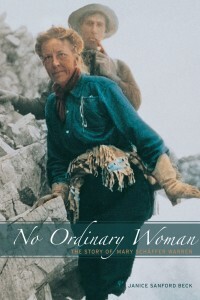 After her husband’s death in 1903, Mary embarked upon a series of explorations in the Canadian Rockies that were far more extensive than was thought proper for a woman at the time. Read more. 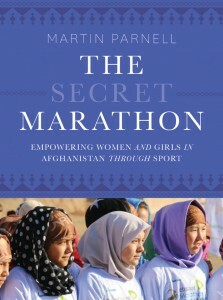 In The Secret Marathon, readers will be transported to a country of beauty, hardship and complexity, sharing in the despair, resilience and friendliness of the Afghan people as they strive for freedom and equality for themselves and their fellow citizens. Read more. 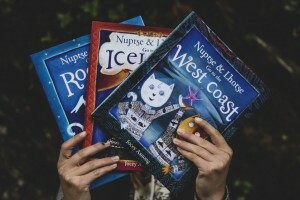 Join these curious cats on adventures through Iceland, the West Coast and the Canadian Rockies in this fun, educational and exciting series with beautiful illustrations for little adventurers to follow along!